Thinking about getting mum or dad a smartphone, but worried you’ll be investing in a brick, since they still have a rotary? No problem. The Samsung S3 has a slew of low and high-end features, and is a very affordable £200 or so. That means you can start them off on a phone that will let them benefit from all Android has to offer. Since it’s working from the easy to use and friendly Samsung version of the OS, it’s a win-win situation for both you and them. Likewise, if you have a child who has been on about getting a phone, £200 is a lot less to spend than the £500 or more you’d put into competing smartphones. This makes the Samsung Galaxy S3 a great way to start them out, but still add incentive for them to get better marks, or improve behaviour, teaching them to work towards a better and more expensive phone. 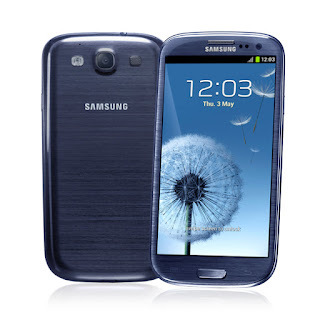 Read on for eight reasons why the Samsung GS3 is still a great phone: 1) Starter Mode: Perfect for first time smartphone users, Samsung Starter Mode places commonly accessed functions right on the home screen. That way new users aren’t caught up in screen after screen of menu, or calling you from their home phone to try and explain how they ‘turned something on’ and now can’t use their phones. This is one of several reasons why people were in queue for the Galaxy S3 in the UK when it launched. 2) Smart Stay: Your phone is watching you; at least, it is if you have Smart Stay turned on. This lets the phone detect when your eyes are looking at the screen, and it keeps the screen turned on. That way you won’t need to press buttons or take any other steps to keep your phone from turning off when you’re using it. This is a great feature if you are reading an eBook, or a long post, and are concerned that your phone might close itself. Follow these steps to turn it on: • From the Home screen, tap on ‘Settings’. • Tap the ‘Display’ option. • Then just tap on ‘Smart Stay’. • Now your phone will stay on when you are looking at the screen. 3) Double Tap to Top: Pretty simple in concept, but great in function, this lets you double tap a screen to get back to the top. For those of you who are elbow deep in the comments section of a website, but want to get back to the top, this is a very useful feature. 4) Instant Camera Access: For the shutterbug in you, or mum, you can set the phone to instantly turn on your camera. Just follow these steps, and you’ll be able to tap and hold your screen, rotating it to landscape mode to open the camera, letting you instantly snap shots of anything: • From your Home Screen, tap on ‘Settings’. • Then open ‘Lock Screen’. • After that, select ‘Lock Screen Options’. • Now just turn on ‘Camera Quick Access’. 5) Text Calling: One of the more frustrating things with modern tech is trying to call someone who sent you an SMS or text message. This is because actually getting to their number is usually a chore. Add to that the frustration of then trying to figure out which if their numerous possible phones they messaged you from, and you can be pulling out hair in short order. Samsung lets you directly dial someone from their text – to the number they messaged you from. This is a great feature. 6) Power Saving Mode: Not the most amazing device feature, but still a good one, this lets the phone turn off a number of generally unnecessary battery hogs. It limits processor use, turns off haptic feedback, and lowers the screen power. These things can save a ton of battery life – especially for someone who might forget to close their phone from time to time. 7) Facebook Lock Screen: Great for those who live in Facebook, this feature lets you set your lock your screen to provide Facebook notifications. This way, you can see at a glance if any life changing things are happening in your network. You can also keep up with gossip in real time, without needing to be logged into the phone and using valuable battery life. 8) Data Limitations: Perfect for those new to data plans and roaming, or people on your plan budget you want to monitor, this lets you set limits to the data a person can use. It’s great because it will prevent them (or you) from exceeding plan limits, making sure you aren’t getting hit with absurdly high phone bills. A trendsetter when it first came out, years later the GS3 is still a solid phone, and offers everything a new smartphone user could hope to have. While some of the tech may be a bit out-dated in terms of what else is available, if the person you’re going to be giving the phone to won’t need all the more expensive bells and whistles, then why put the money into paying for them? One of our top picks for a budget mobile, this phone is one you won’t be sorry for purchasing.